The Weeknd Teasing 'Black Panther' Album Track? The latest Instagram post from multiple Grammy Award winner The Weeknd seems to be hinting at an upcoming track on Kendrick Lamar's Black Panther album. The image, showing Marvel's regal African superhero perched on a tree in front of the moon, was posted without comment. Inspired by Marvel Studios' upcoming blockbuster, Black Panther: The Album is curated by Grammy Award-winning rapper Kendrick Lamar and Billboard Magazine's Executive of the Year, Anthony "Top Dawg" Griffith. The album already dropped Lamar's "All the Stars" (featuring SZA) and Jay Rock's "King's Dead" (featuring Lamar, Future, and James Blake). The 14-track album is available for pre-order on iTunes, Apple Music, Spotify, Amazon Music and Google Play, and is expected to release in full February 9. The Weeknd, real name Abel Tesfaye, recently partnered with Marvel for the Starboy comic book, transforming the singer's Starboy persona into a comic book character. The performer partnered with Lamar for "Sidewalks," off The Weeknd's 2016 Starboy album. 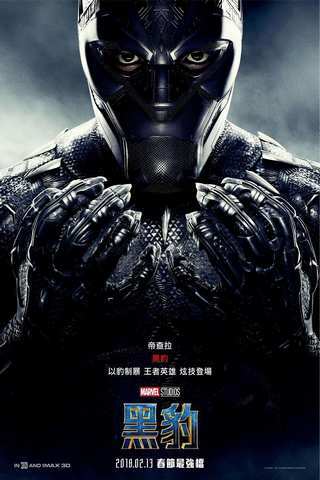 Lamar and Tiffith directly collaborated with Black Panther director Ryan Coogler to create music specific to the needs of the film, a first for a Marvel Studios production. The collaboration marks the first time Lamar, dubbed by Rolling Stone as "the greatest rapper alive," writes, produces, performs and curates for a major motion picture. "I am honored to be working with such an incredible artist whose work has been so inspirational, and whose artistic themes align with those we explore in the film," Coogler said in a statement announcing the album. "I can't wait for the world to hear what Kendrick and TDE have in store." Another track by Lamar and Vince Staple appeared in the Black Panther TV spot released during the NCAA National Championship game earlier this month. Staple's "BagBak" and Run the Jewel's "Legend Has It" have both appeared in advertising, but it's unknown if either track will be included on the album which currently has 12 songs still to be revealed. Black Panther: The Album drops February 9. Starring Chadwick Boseman, Michael B. Jordan, Danai Gurira, Lupita Nyong'o, Letitia Wright, Martin Freeman, Andy Serkis, Angela Bassett and Forest Whitaker, Marvel Studios' Black Panther opens February 16.